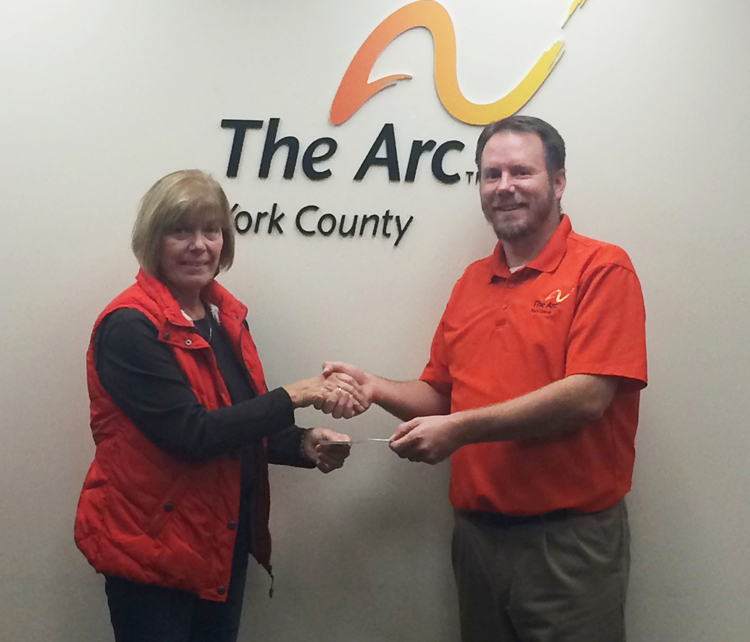 York, PA- The Arc of York County received a $1,000 donation from the Red Lion Elks Lodge #1592. In the photo, Dianne Poff (left), from the Red Lion Elks, presents the donation to The Arc of York County's Director of Development, Jim Poster. For more information on The Arc of York County, please contact The Arc at (717) 846-6589.